From hits in the 70s with the likes of ‘This Town Ain’t Big Enough For Both Of Us’, ‘Number One Song In Heaven’ and ‘Amateur Hour’, to the whacky but undeniably moreish releases we’ve heard ahead of new album Hippopotamus, brothers Russell and Ron Mael have been redefining normal pop music conventions at their leisure for over four decades now. 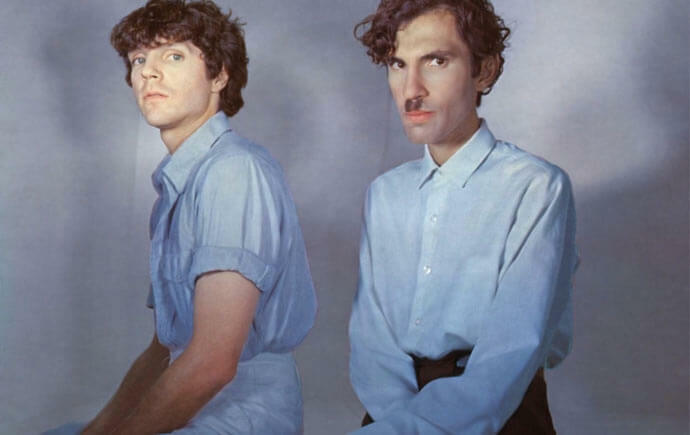 With the new record scheduled for release early next month, Navya Hebbar spoke to lead singer Russell Mael and dipped a toe into the kooky world of Sparks. For Ron and I, it has always been an ‘us against them’ thing. We always like to think that there is a ‘them’ we are rebelling against, and we do that with our music, our lyrics and our image. First of all, have you decided on your tour outfits? Well, we are still debating it. It is a very lengthy process. Until I get them all into the suitcase and until the suitcase is closed, it is all in a state of flux. But it’s fun being able to try on different images, you know? The bands that we have been interested in always had an element of visual interest about them; it’s about framing your personality onstage properly. And how much work goes into creating and maintaining those personas? Quite a bit. What is puzzling to me is there are a lot of bands out there who choose to look like one of the audience. Just putting some jeans on with no time or thought put into it is just sloppy dressing in my opinion. I think you need to embrace the fact that people are coming to see a show, but it’s not like we sit down and have board meeting about our images; it’s just something we enjoy playing with. How similar are your onstage personas true to real life? Is Ron still the serious one for example? A lot of people wonder if we are the same type of people offstage, and our onstage personas are basically an extension of how we are in real life. Ron is a severe kind of person and you will not confuse him for anyone else. If you see him you will know he is Ron from the band. It’s because who we are on stage is a projection, a larger-than-life image of who we are in real life – but I think it’s not too much of a stretch for the imagination. 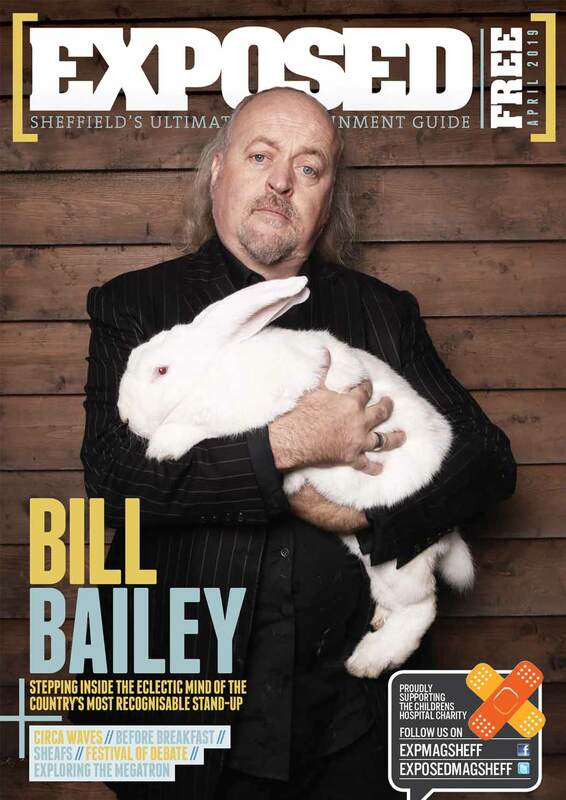 After over forty years of creating music, how do you keep things fresh? That is the whole battle when you’ve got a long career! But we take pride in the fact that we don’t rely on the past. People could be listening to us for the first time, or this next record could be the first album they ever hear by us and we need to make it worth their time. We approach every new album in that kind of way. We are not lazy, we are motivated. We just hope it is as exciting for our audience as it is for us. Do you revel in your status as an ‘alternative’ pop band? We fight against the status quo and what pop is, or rather people’s perception of what pop should be. People write lyrics that are like bland wallpaper – unassuming and boring. We think that lyrics should be something stylistic at least. As an artist you have a blank canvas, you can do anything you wanna do. It seems like there are people that prefer the ones that sort of fit in with a movement. For Ron and I, it has always been an ‘us against them’ thing. We always like to think that there is a ‘them’ we are rebelling against, and we do that with our music, our lyrics and our image. People often like to take their own metaphors from strange lyrics and themes. There was someone online making the case that ‘Hippopotamus’ was about Donald Trump. People often assume we are making a political statement, when actually we aren’t. ‘Exotic Creatures of the Deep’ had lyrics about a monkey driving and people thought it was some sort of an allusion to President Bush, when in fact it was just about a monkey driving a car. But we don’t like to explain all our lyrics; it’s nice to leave some of the ambiguity in the music. And we think it is a nice quality for the songs to have. If someone has an interpretation that is different to ours, we feel we shouldn’t dismiss it. It’s a nice thing. So ‘Hippopotamus’ is literally about a guy with a hippo stuck in his pool? Yes, ‘Hippopotamus’ is a short vignette about a guy who owns a swimming pool in his backyard and he wakes up to find these elements appearing in his pool one after the other. The thing is, he just can’t seem to figure out why all that is happening. A Volkswagen microbus, a giraffe, a painting – all these things just start appearing so it feels like a short story with no real ending. There was no point to it all and there is no pay-off. It is a bit like a fairy tale, like a dark nursery rhyme. Who has the main input into the lyrical side of things? Ron is our chief lyricist and we have always had a real pride in special lyrics and that is always a challenge. We are trying to express ourselves in ways that are not tried and true. With pop music, we are trying to do that: to be abrasive. But abrasiveness does not have to be political. It is hard to describe what it is and it is hard not to be boring. The worst reaction is for the audience to be blasé about it and to not have any reaction at all. Finally, what are your expectations for the upcoming album and tour? We have worked on this album for about three years. There has been a lot of hard work and build-up going into it and it’s exciting to let everyone hear it. There are eight songs on the album and we are proud of every one of them. We’ll be playing all of them on our upcoming tour. Artists should stand on their latest work and not only rely on their past work, so we’re looking forward to getting back out there. Hippopotamus is out 8th September on BMG and available to purchase here.